Developing next level games talent. Helping young people find their passion in the video games industry. We help people find their passion in the video games industry. We do that by building links between education and the wider sector; helping forge mentorship & work experience opportunities and; by making sure that learning and development pathways are easy to understand. The games industry is worth over £5 Billion to the UK economy and it’s rapidly growing. This dwarfs both film and music, yet career pathways are still confusing and hard to navigate, leading to a sector thats understaffed and in desperate need of highly skilled, diverse talent. In addition to this, the games sector is suffering a huge diversity problem that needs to be urgently addressed. Overall, if we don’t make sure young people are adequately trained and supported throughout their education and career, we risk badly damaging one of the countries most successful and creative industries. Between the ages of 8 and 16, everyone, no matter their background plays games. This figure is reduced even further if just looking at technical roles. A balanced industry makes for better games. A lack of Black or ethnic minorities in the industry risks making our games less globally inclusive. We are embarking on a ambitious number of projects for 2019, focussing on a range of areas including excellence in mentorship, work experience opportunities and wide reaching career mapping - see how you could get involved. Would you like to be part of educating the next generation of industry superstars? 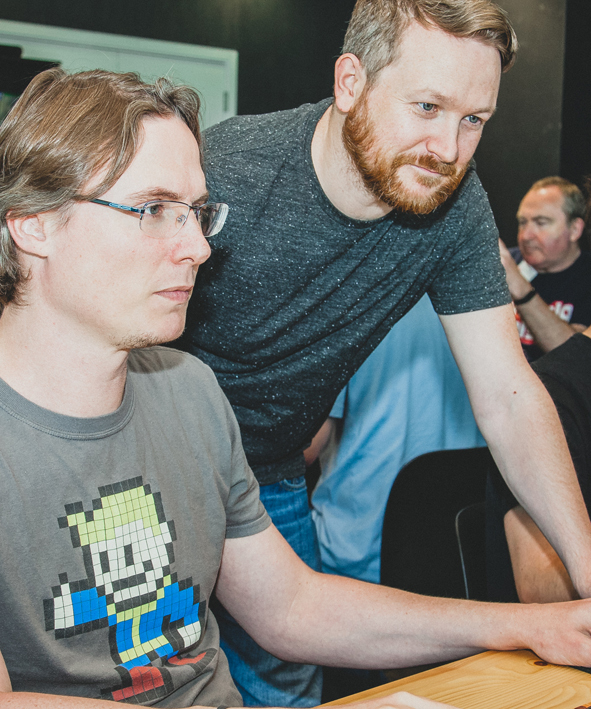 Whether you’re an veteran developer, educator, or just starting out in your career, we have lots of opportunities all across the UK! Take a look at our wide range of projects to see if you could help. Paid and volunteering roles at events, workshops, schools and colleges. Into Games is a non-profit charitable organisation that relies on donations, we are very grateful for your support.